Printed from http://www.bodytalksystem.com//learn/news/article.cfm?id=892 on Apr 25, 2019. 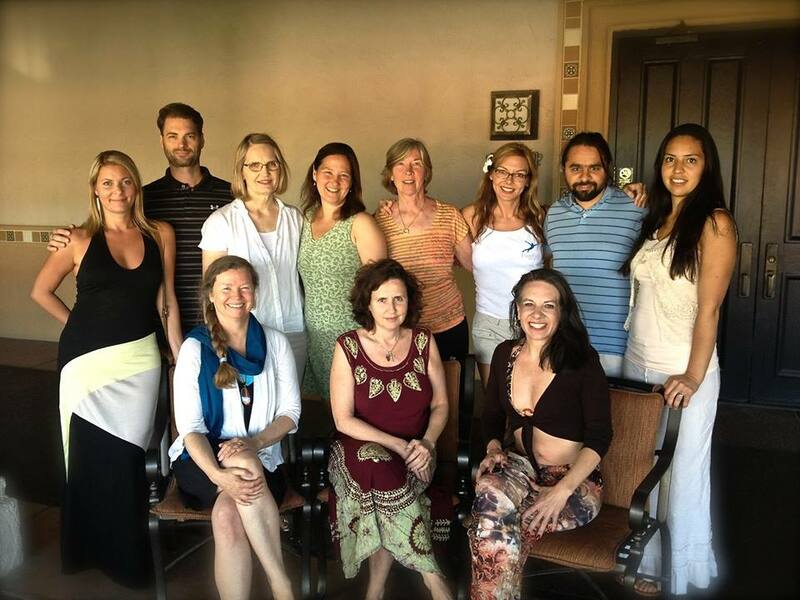 We tapped out another great PaRama Study Group Intensive Retreat a few weeks ago here in beautiful Scottsdale AZ where we all BodyTalked our BodyTalk. The resort was great; the people were great; the sessions were great; the results were... beyond great! Several people reported having unexpected results and unanticipated benefit. The energy, solidarity and consciousness of this group is gelling quite nicely and continues to mature each year. There are a few quotes from 2014 participants below. Stay in touch with me for details about the Spring 2015 annual retreat. www.theHallWayABC.com and my IBA bio page will have details posted later this year. An interesting side note to share is that most sessions were performed in round robin style groups of three, where two practitioners would work together on the 3rd person (insert your own ménage a trois joke here). This was a natural development over the years and is proving to work out very well. We look forward to seeing you here next spring! "Thank you to all the participants who showed up for the retreat. Thank you Tim for coordinating. I think every year I say this was the best year ever and I wonder how it could get better but it does. The energy in this group is strong and growing. I gain so much from this every time. Getting the shifts from all the sessions is so valuable. Also getting to connect with other PaRama practitioners is so worthwhile. Although the focus of the retreat is trading sessions, Tim's talk on the Gunas was great. "It was more than great it was fantastic. The retreat always is wonderful, each year is different, but they all have taken me to a new level of understanding and growth. With all the great work - both receiving and giving - it takes me awhile to explore my new skin that feels so comfortable. I can't figure out how people recognize me - I'm so different.